In this problem, we are going to build a structure using blocks of certain shape and size. 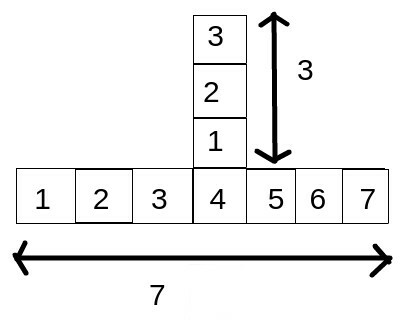 c - whether the vertical block is attached above the horizontal block or below it. 1 for above and 0 for below. The width of the blocks is 1 unit. See the figure for better explanation. 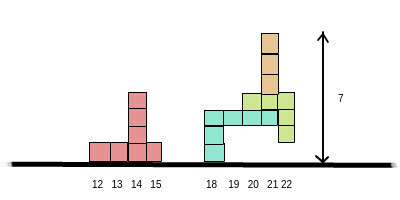 These blocks can be dropped vertically from above at horizontal positions - x (the position of the left of the block). You need to calculate the final height of the structure. The final height is the maximum height over all horizontal positions. Check Input/Output format and example for better understanding. 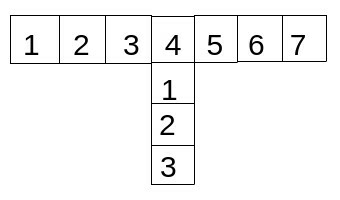 First line contain a single integer N denoting the number of blocks. Output Format:- Single Integer denoting the maximum height over all horizontal positions.